Australia’s Innovative Manufacturing Cooperative Research Centre (IMCRC) was officially launched last week. “Manufacturing is an essential part of Australia’s knowledge economy and innovation ecosystem, our manufacturers need to capitalise on today’s emerging opportunities for our economy to remain strong in the future,” said Minister for Industry, Innovation and Science, Senator the Hon Arthur Sinodinos AO. According to the Minister, the launch of the IMCRC will help catalyse the transformation of the Australian manufacturing industry. “There has never been a greater need for businesses across all sectors to develop innovative business models, embrace digital technologies, and, with strong leadership, find new ways to create commercial value. Our mission is to catalyse the transformation of Australia’s manufacturing industry through collaborative investment, research impact and innovation to deliver commercial outcomes,” said IMCRC Managing Director and CEO David Chuter. The IMCRC will help Australian companies increase their global relevance through research-led innovation in manufacturing products, processes and services. So far, three IMCRC industry participants – Adelaide-based Jumbo Vision International Pty Ltd (JVI), Melbourne-based start-up SPEE3D and Urban Arts Project Australia (UAP) have successfully executed formal project agreements for university-aligned projects. “The tools and services developed under this project will enhance collaboration and allow SMEs to showcase, validate and optimise virtual design solutions, prior to commencing the actual manufacturing process,” said JVI Founder and CEO, Gerhard Kimenkowski. 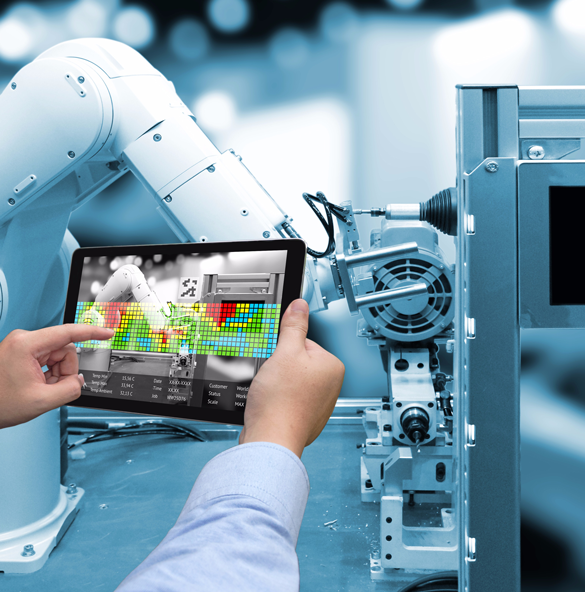 “This project with the IMCRC will enable SMEs to engage with the technology of innovative Robotic Vision Systems for competitive advantage on design-led high value manufacturing processes. Collaboration is essential to the success of this project, and UAP will work closely with QUT, Laing O’Rourke and RMIT to pioneer innovative technologies that will help accelerate the diversification of Australian manufacturing into new opportunities and value chains,” said UAP Founder and Managing Director, Matthew Tobin. According to Maurice Ben-Mayor, President of innovative global medtech business and IMCRC essential participant Stryker South Pacific this collaboration is set to transform the future of Australian manufacturing and meet the challenges of local industry. “Stryker is proud to be an essential participant of the IMCRC, and to invest in product innovation and research. By tapping into the powerful movement of Australia’s Cooperative Research Centres, we are confident that we will find ground-breaking new ways to enhance patient outcomes and make healthcare even better,” Mr Ben-Mayor said. The IMCRC will also collaborate with the Advanced Manufacturing Growth Centre, Ai Group, prefabAUS, CSIRO and with Germany’s Fraunhofer Institutes, to name just a few.